On Oct. 14, SHOWTIME will present a tripleheader from the Barclays Center in Brooklyn, New York, set for 10 p.m. ET/7 p.m. PT. The headlining bout will feature Cuba’s Erislandy “The American Dream” Lara (24-2-2, 14 KO’s), a man many consider the best boxer in the junior middleweight division, defending his WBA title against undefeated 2012 U.S. Olympian Terrell Gausha (20-0, 9 KOs). In the evening’s co-feature, hard-hitting unbeaten champion Jermell “Iron Man” Charlo (29-0, 14 KOs) puts his undefeated record and title on the line against rising contender Erickson “Hammer” Lubin (18-0, 13 KOs) while “Swift” Jarrett Hurd (20-0, 14 KOs) will make his first title defense against a very formidable foe in former world champion Austin “No Doubt” Trout (30-3, 17 KOs). “On October 14 at Barclays Center, three world champions will be defending their belts, on SHOWTIME, in a night of tremendous super welterweight action,” said Lou DiBella, President of DiBella Entertainment, who will be co-promoting the event. 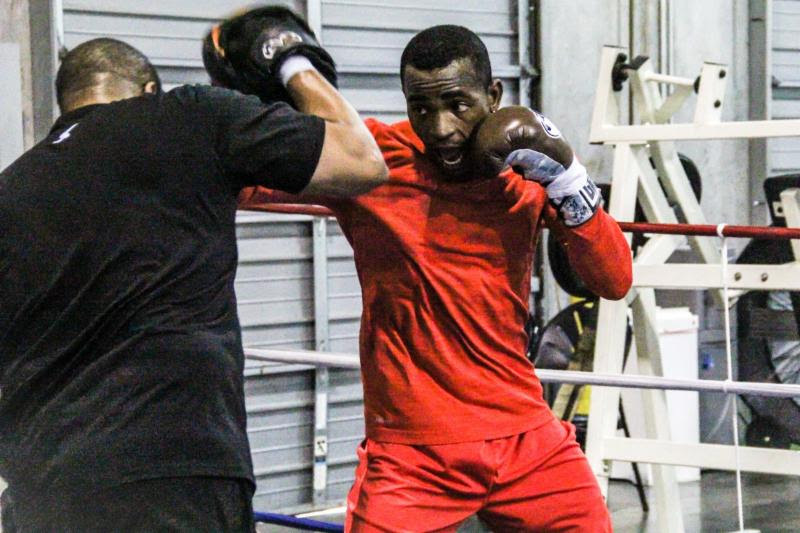 “Long reigning Cuban Erislandy Lara takes on undefeated Olympian Terrell Gausha and newly crowned Jarrett Hurd faces respected former world champion, Austin Trout. This card also features one of the best matchups that can be made between two undefeated fighters, champion Jermell Charlo and young sensation Erickson Lubin,” Dibella said. More than anything, promoters seem to be confident that this card will deliver in action for all the boxing fans across the globe. “This is a blockbuster card for boxing fans,” said Tom Brown, President of TGB Promotions, who is helping promote the event alongside Dibella. “The 154-pound division is full of talent and this card is loaded with the best champions and top-ranked contenders in the division. The guy who will be the eventual king of the division is fighting on this show and the fans will be treated to matches that will determine who that unified champion will be,” Brown stated. Tickets are now officially on sale and start at $50 (not including applicable fees). Tickets can be purchased at ticketmaster.com, barclayscenter.com or by calling 800-745-3000. Tickets can also be purchased at the American Express Box Office at Barclays Center starting Friday, September 1 at noon ET. Group discounts are available by calling 844-BKLYN-GP. The Barclays Center has been a special haven for great boxing fights in recent years and signaled a resurgence of boxing on the East Coast. “We are thrilled to continue our best year yet of BROOKLYN BOXING with our fifth major boxing event of 2017,” said Brett Yormark, CEO of Brooklyn Sports & Entertainment. “We always aim to deliver fight fans an evening packed with top-notch matchups from start to finish, and this card certainly does that,” Yormark added. At 34 years of age, Lara doesn’t appear to be slowing down at all, as the crafty Cuban already holds victories over the likes of Alfredo Angulo and several other top champions and contenders. Lara also went tooth and nail a few years back to two-division world champion and Mexican superstar Saul “Canelo” Alvarez in a hotly-contested battle that he lost via split-decision. Gausha, 29, hails from Cleveland, Ohio, and is coming off of a pair of hard-fought victories over Steve Martinez last August and Luis Hernandez on Feb. 10. The fight with Lara represents a huge moment in Gausha’s life and career. Gausha recognizes the danger of such a match, yet he is still thrilled. Terence Crawford vacates IBF title at 140 pounds; Lipinets-Kondo on tap?